In conjunction of this blessed month, AFY will be having four back to back Heart 2 Heart talk! Collaborating with By Definition Pte Ltd and Singa Sports Acacemy, we are presenting to you a better H2H this year! Its a brilliant fusion between experts of various fields. Interested to know more? Come down tomorrow for our very first Heart 2 Heart talk and receive free doorgift from us! 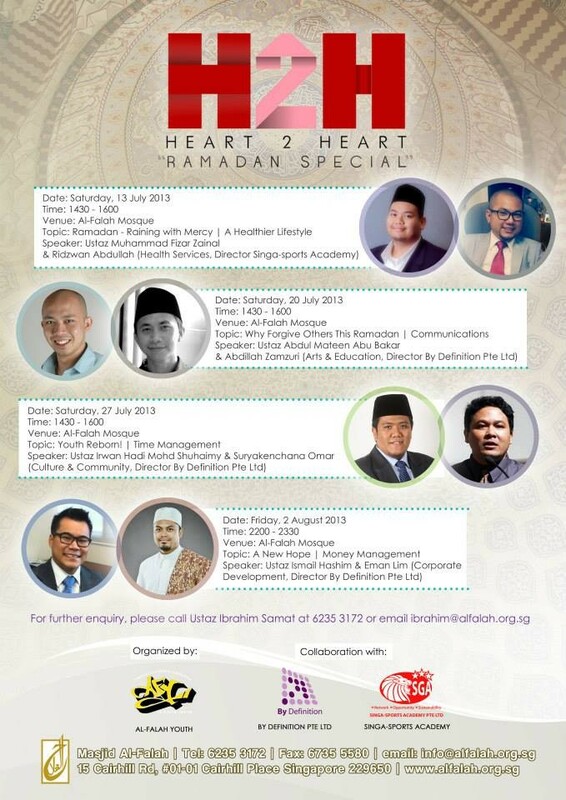 See you there, insyaAllah! A sign that your salaah is accepted is that it stops you from doing something wrong.